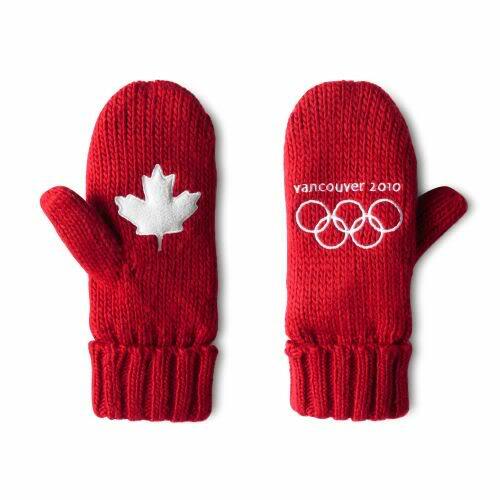 // The Olympics are over but the Vancouver 2010 keepsake’s are still kicking around. I’m not going to to be original, I admit that my favorite token as a memory of this year’s events is HBC’s red mittens, even Oprah gave away 300 pairs to her audience, cute. Go figure, it was HBC president and chief executive officer, Jeffrey Sherman, an American, who suggested them. Top sponsors included: Petro-Canada (Olympic-branded drinking glasses), McDonalds, Air Canada (the Boeing 7-7-7 showcased official Olympic patterns and symbols), Samsung, Bell, General Electric, Royal Bank of Canada, Coca-Cola, VISA, Panasonic, RONA and Chevrolet.